Style Notes | Watch out for 20-year-old Cape Town, South African native, Nokuthula 'Thula' Neka. Thula stands 5' 10" tall weighing 94 pounds. Details: Photography by Isa Jacob; Styling by My Ringsted; Hair & Makeup by Zenia Jaeger. Absolutely stunning. 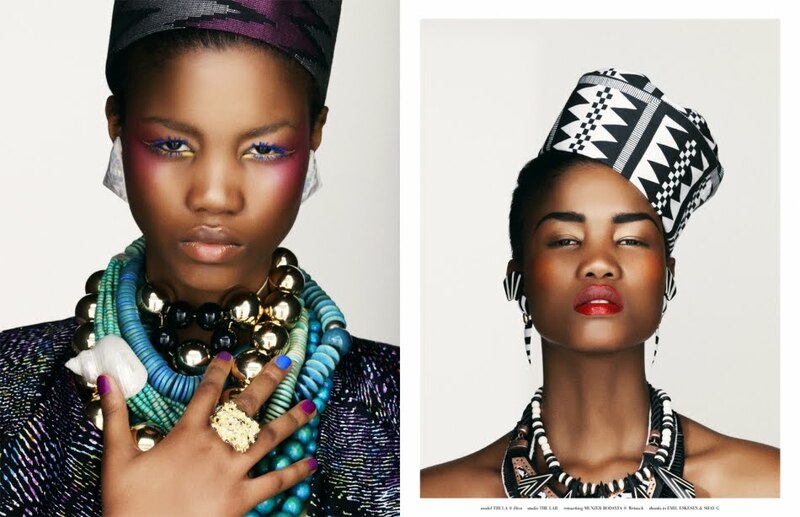 See Thula's portfolio here.